This week's Ms New Brunswick is such an interesting story. Every vacation I have ever gone on, I have fantasized about never leaving. Well that's exactly what Christine Bray did, when she and her husband were visiting her Mom and saw a house for sale on the banks of the Miramichi River. Christine now owns and operates Storeytown Cottages in Doaktown, NB with her husband Jeremie. 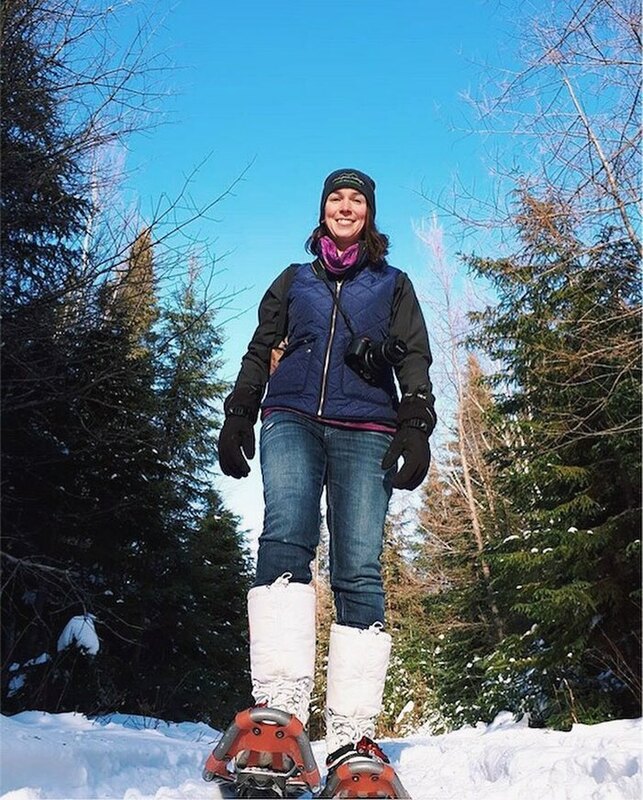 It is a favorite for families, couples and nature enthusiasts looking to spend some quality time outdoors exploring what our province has to offer. They are open year round and truly have something for everyone. 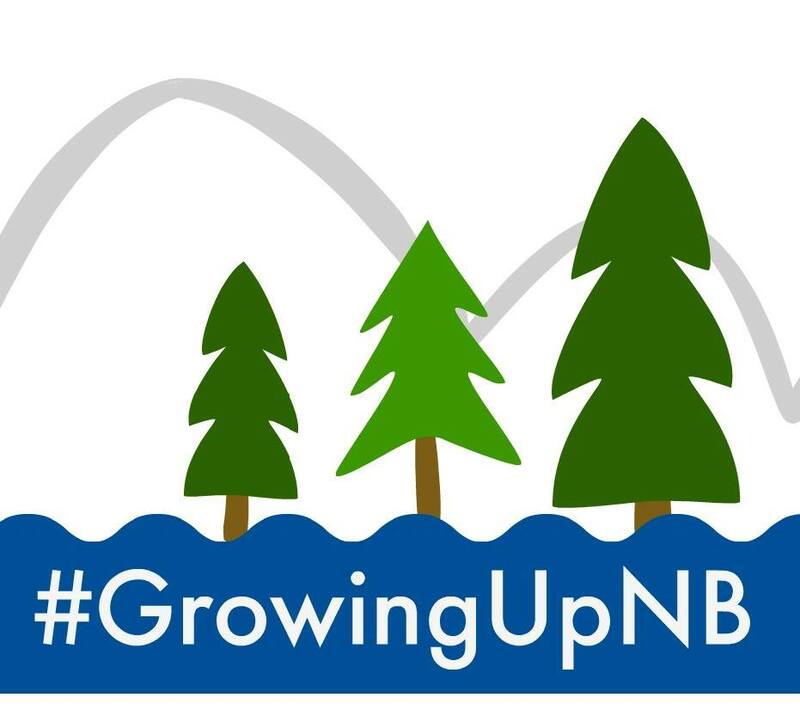 We often talk about the outmigration of people in New Brunswick, so it's refreshing to hear about people who move here intentionally and set up shop. Our province has so much natural beauty and so many opportunities for people who have the vision and fortitude to make something happen. We are so lucky to live in such a beautiful place that offers us so much, and no one knows that better than the people who come from away to put down roots here. Tell me about Storeytown Cottages. Storeytown is the adventure lodge that my husband Jeremie and I own and run together. We have four cottages and a small motel building with four rooms on the Miramichi River outside of Doaktown. We also offer year-round adventures like snowshoeing, snow-tubing, canoeing, kayaking, stand-up paddleboarding and tubing. 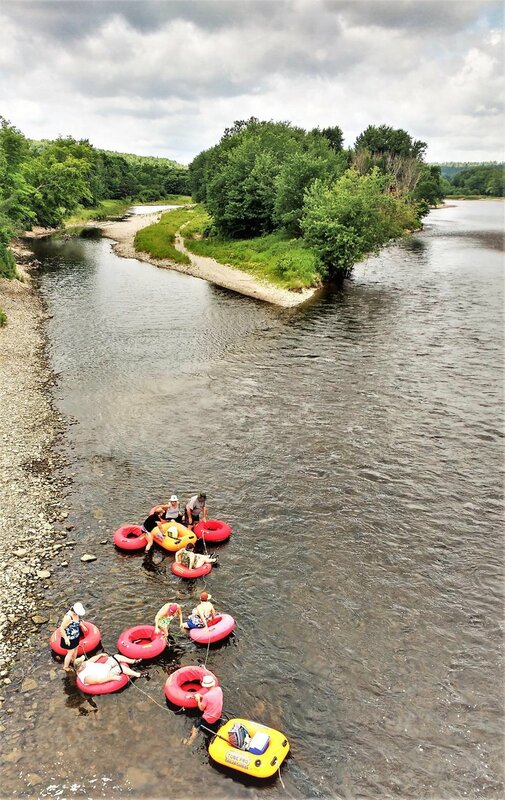 We have a shuttle for all of the river adventures, and anyone can rent equipment from us. There is a hot tub and sauna on the property, which people really enjoy. 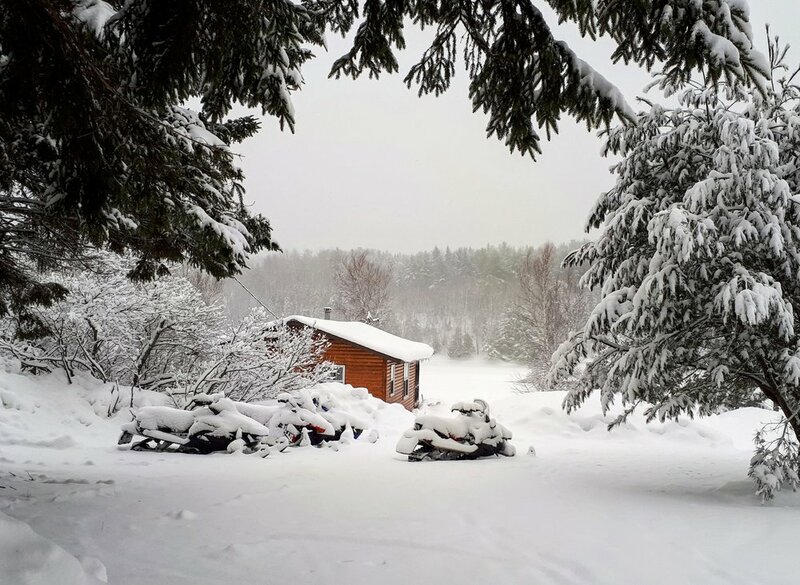 All of the cottages are winterized and have woodstoves, and we operate year round. We do hire staff in the summertime - July & August are our busiest months. Every year we are growing though, and we notice that things are busier each season it seems, so we are starting to think about getting more help. We are lucky to have some family help, my Mom is in Doaktown and she does a lot for us. I don’t think that we could do it without her actually. We are originally from Ontario, and on a whim had decided we needed a new adventure. We were staying at my Mom’s and she was living just outside of Chipman. We were looking for a place to start over in the Maritimes, but really hadn’t settled on any spot. We wanted to find a piece of property on the water – that was our only criteria. We saw that a house was for sale on the Miramichi River, so we went to take a look at it. We pulled into the driveway and right away we noticed there was a whole business attached to it. We both have backgrounds in outdoor adventure programs, each of us has over ten years’ experience as outdoor guides and instructors and we are extremely passionate about nature. It threw us for a loop, in a good way, and totally changed the way we started thinking about our future. It felt right. It was too big a coincidence that something we loved and had thought about doing would just sort of fall into our laps like that. It really wasn’t easy to obtain it. There are a lot of opportunities and resources for new businesses but not a lot available to people who are taking over an existing business. It took several months, but we persisted and it was all worth it in the end. Everyone is very supportive of us, and everyone lends a helping hand whenever we need it. People have dropped what they’re doing to help us out when we’ve asked. We have amazing neighbors and the community here helps us spread the word. Our guests are amazing and they’re why we’re doing this. They’re kind of the ones that continually remind us how lucky we are to be here. We would never take for granted what we have here because we see it brand new all the time from the perspective of a guest. It has been known as a salmon fishing destination, and it still is, but we are focused more on enjoying the area in every other possible way. Bringing awareness to this part of the province would be just amazing. As a whole, our goal is to get people more aware of the fact that we’re here, we’re open, and we have something to offer every season of the year. If there were an opportunity to work more closely on tourism initiatives with the Province, we would welcome that. This place has a power, I mean we fell in love with it immediately and we KNOW others will too the second they see it. Your social media presence is really amazing, how did you manage that? Well I wouldn’t say that we exactly know what we are doing, but twice a year we do a “like and share” Facebook giveaway, and that has done wonders for us. We are at the point now, where I can post cancellations online last minute and we almost always get someone else to book the slot. I don’t know what we would do without social media marketing. It has been really incredible for us. We love the outdoor adventure and hospitality part of the business, and we had a lot of experience in that area, but we were totally new at the “business” side of the business. Everything from accounting to marketing was new to us and we find that a challenge, but we’re getting used to it. For me, the biggest challenge is learning how to not take everything personally. The first couple of years, everytime we would have a bad day/week/month it affected me too much. I have found that you have to step back and focus on the big picture and not let every small setback affect you. And you have to know and expect that you will go through bad periods from time to time, but try keep it in perspective. It’s tough. That’s another big challenge that we face. We’ve gotten really good at being able to tell when the other person needs a break. It’s hard when the business is in your home, or on the same property as your home. As long as we are here, we are working. If we want personal time we really have to remove ourselves from the property. We are able to get away once or twice a year. We also try to do small fun day things here and there, even if it’s just taking a canoe out for an afternoon or snowshoeing a trail. I think that if you know that you have that industrious personality type, and you’re willing to work hard, then you should go for it. You have to remember that the business is separate from you, and you can’t let the lows in your business affect your emotional and mental state. It’s really hard to separate the personal from the professional but you have to protect both yourself and your business. You can find us online at our website, or on Facebook. And you can always call or text us for info at (506) 365-7636.